Not only does this cheeky film title make me smile, but the accompanying visual really grabs your attention too. Daily Billboard wouldn't want to have a staring competition with Robert De Niro. 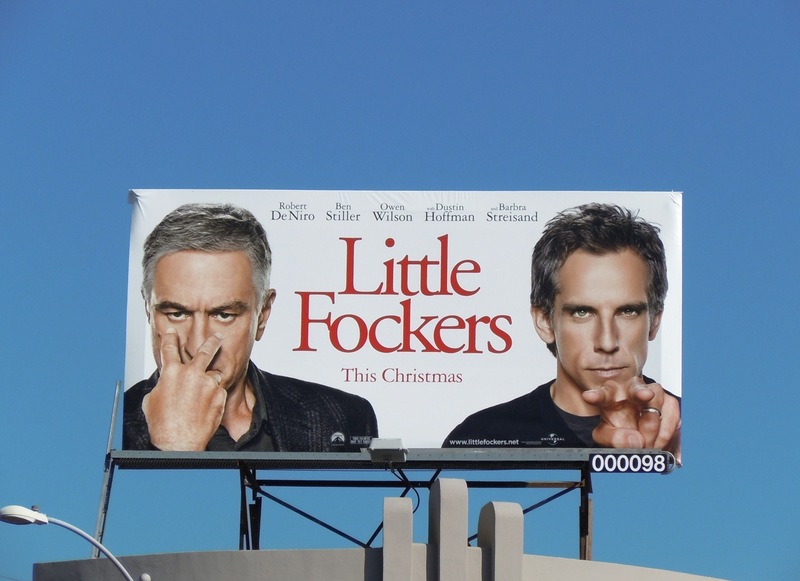 This fun movie billboard for Little Fockers was snapped along L.A.'s Beverly Boulevard on December 9, 2010.